An American Memorial Health Insurance Company review leads to Assurant of which American Memorial Health Insurance is a subsidiary. These companies work together to provide a variety of insurance products to both individuals and businesses. They also offer consumer protection products to existing clients. 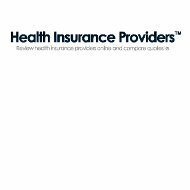 If you are looking for personal health insurance, enter your zip code now in the free box to receive rates and quotes from several top companies. American Memorial, through Assurant, is able to provide much more to their clients than it would if they were not a subsidiary of Assurant. Assurant is a financially secure company and has consistently received A ratings from A.M. Best, Moody’s, and Standard and Poor’s independent insurance rating companies. Even though these are all homeowners’ insurance policies, they are not available from many traditional insurance carriers. Lender-Placed Homeowners Insurance is obtained through the lender. It is part of the agreement that is signed between the homebuyer and the lender so that the lender is assured that insurance is held on the property. The lender often combines the insurance payment with the monthly mortgage payment and pays the insurance directly. Manufactured Housing Homeowners Insurance is a special type of low cost, moderate coverage homeowners insurance. Since manufactured homes have a typical construction and are not considered too costly, this type of policy allows the homeowner to save on the overall cost of homeowners insurance while maintaining the necessary coverage. Renters, Leased, and Financed Homeowners insurance policies are specialized to match the particular situation of the tenant. When you rent or lease a home, the landlord should carry insurance for the outside of the home, but for the inside of the home and its contents, you need to carry your own insurance policy to protect your valuables. Through Assurant and American Memorial Insurance, there is a variety of insurance plans offered to groups. These types of policies are mainly for employers to offer to their employees. The group dental plan offers preventative care, yearly exam coverage, and basic dental procedure coverage. There are additional coverage options, such as orthodontics, that can be added on for an additional cost. American Memorial Insurance also provides group health insurance options. The options include small group health insurance, health savings accounts, short-term health insurance, and international group health insurance. Each plan can be customized to be compatible with the type of business and the amount of employees that need coverage. Group long-term disability, group short-term disability, and group term life insurance policies are also available from American Memorial Insurance. These types of coverage options are typically added to companies that are larger in size who want to offer more to their employees. Large companies that want to maintain a high employee retention rate often add additional coverage options such as these to their insurance portfolio. For small businesses or for those who cannot afford to provide insurance for their employees, American Memorial Insurance offers Group Voluntary Insurance. This is a 100% employee-paid type of insurance coverage. Even though the employer does not pay anything, the employee still has the option of cheaper rates than an individual plan would offer. With more and more identification theft and computer fraud taking place, insurance companies are now offering ways for consumers to protect themselves and their assets against fraud. The consumer protection products available from American Memorial Insurance include extended service contracts, debt protection programs, and credit insurance. Extended service contracts and warranties can be provided on certain items that a consumer has purchased. For costly items, having this protection means that any repair or replacement cost is covered. The debt protection program allows for debts that are covered on the program to be dissolved and forgiven in the case of the debt holder’s death. The credit insurance policy pays off any covered debts in the case of the death of the insured. If the insured becomes voluntarily unemployed or becomes too ill to work, the debt payments will be made until the individual finds another job or is well enough to work again. These three products are available to existing customers only.